This guide is also available for download in Microsoft Word format from the TechNet Gallery, at http://gallery.technet.microsoft.com/Windows-Server-2012-R2-37eb8e17. In Windows Server® 2012 R2, the Remote Access server role includes the Routing and Remote Access Service (RRAS) role service. This guide demonstrates how to use Windows PowerShell to deploy RRAS as a virtual machine (VM)-based software gateway and router that allows Cloud Service Providers (CSPs) and Enterprises to enable datacenter and cloud network traffic routing between virtual and physical networks, including the Internet. You can deploy VM networks by using either Hyper-V Network Virtualization or Virtual Local Area Networks (VLANs). 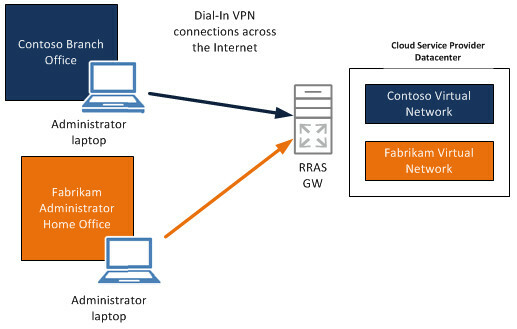 RRAS is integrated with Hyper-V Network Virtualization, and is able to route network traffic effectively in circumstances where there are many different customers – or tenants – who have isolated virtual networks in the same datacenter. If you are using System Center 2012 R2 and Virtual Machine Manager, you can deploy Hyper-V Network Virtualization with Windows Server Gateway rather than deploying RRAS as a Multitenant Gateway using Windows PowerShell. If you are not using System Center, this guide provides instructions on how to deploy an RRAS Multitenant Gateway using only Windows PowerShell. For more information, see Windows Server Gateway. Who will be interested in this guide? In addition, you can configure the gateway with Network Address Translation (NAT) services so that your tenant VMs can access Internet resources. Following are the requirements for deploying the RRAS MTGW by using this guide. You must have a minimum of two computers that are running Windows Server 2012 R2, one to use as the Hyper-V Network Virtualization host, and one to use as the Hyper-V host that runs the RRAS Multitenant Gateway VM. The Hyper-V host used for Network Virtualization or VM VLAN deployment must be running Windows Server 2012 R2 with a minimum of 16 GB RAM and at least one network adapter. The Hyper-V host used for the RRAS Multitenant Gateway must be running Windows Server 2012 R2 with a minimum of 8 GB RAM and at least two network adapters. For production environment deployments, requirements for the computer running Hyper-V with one or more VMs configured as a RRAS MTGW are the same as for Windows Server Gateway. For more information, see Windows Server Gateway Hardware and Configuration Requirements. 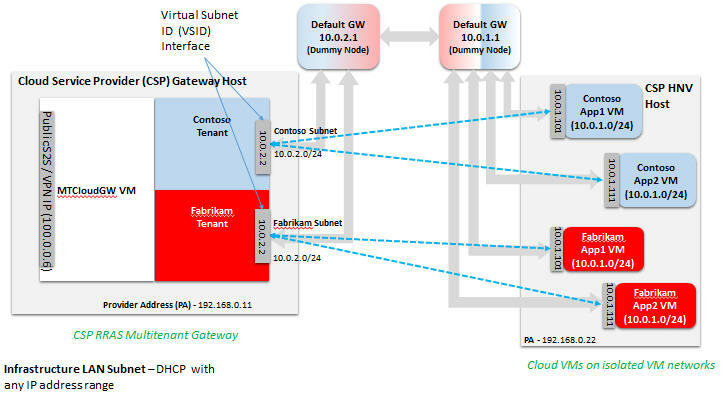 The following illustration depicts the RRAS Multitenant Gateway and a Hyper-V Network Virtualization server and VMs that you can deploy by using this guide. For more information, see Configure the RRAS Multitenant Gateway for Site-to-Site VPN Connections. 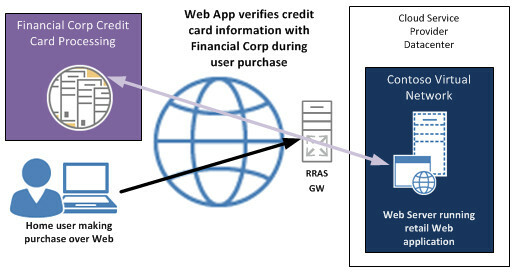 For more information, see Configure the RRAS Multitenant Gateway to Perform Network Address Translation for Tenant Computers. You can configure the RRAS Multitenant Gateway as a BGP router. For more information, see Configure the RRAS Multitenant Gateway for Dynamic Routing with BGP.